We offer more than beach and sun vacations. A lot of free Services, especially for kids, are offered at the Strandhof. Come and relax at the "Wellnarium". Our Day Spa will welcome you with massages, sauna and beauty services. Three different food and beverage outlets will accomodate every taste and budget. From a snack to a five course menu. We've got it all. Modern hotel rooms for one, two or three guests are also available as family style appartements for 4-6 guests with a kitchnette or full kitchen. 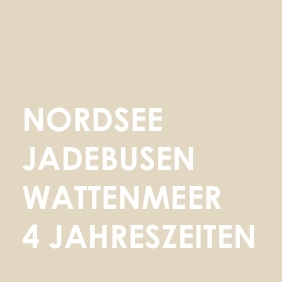 The german northsea coastline is always a special region for a vacation. Because 50 years of hospitality is agood reason for itself. The fourth generation just finished the University and is ready to step in, in the near future. 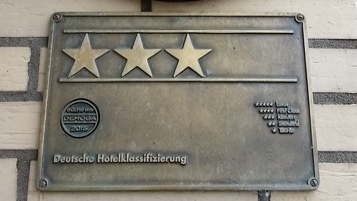 And three stars many years in a row is a sign of good work, day by day. Regional kitchen with a specialty on fresh fish dishes. Join us also for weekly changing buffets. Leasure hospitality, bar and restaurant feelings, are what you can axpect at the Bistro. A large outside patio and a kids playground is not only enjoyable for children. Are you up for a snack after visiting the beach? Come in and enjoy homemade treats from sweet to spicy. Need help planing your day? We are pleased to help you at the hotel reception with brochures from the region. Ponyrides, Trick-Pin, deck chairs, beach chairs, parking or Internet by WiFi. All this is free of Charge, by staying with us. This view can be yours, just a couple of steps away from the hotel. Nice little hotel in a perfect location (right on the dike). We booked last minute and got an apartment with private terrace and private parking place right in front of room. instead of a double room. The apartment was beautifully decorated and especially clean. The service was very friendly and accommodating. Gladly again! Super hotel with restaurant and good food. Something for everyone! Very friendly and helpful staff! Fantastic location directly behind the dike! Very family friendly, clean and right on the sea. Price performance ratio very good. We can recommend it. Did you know that we reward returning guests with special deals? Our Winter Special is one of them. Stay in the summer at least one night with us and benefit from an unbeatable offer during the winter.